For rent ads in Melbourne. Thank you for visiting our free advertising website For rent, Melbourne section. We provide high response free classifieds and free advertisement. Use our online free For rent classifieds placement system to find, list, offer For rent online! Best Rental Appliances Online in Melbourne. Rent with style or Rent to own. Get Affordable latest appliances, furniture, TV's and more. Free Delivery! Apply Online Now Rent with Style is a proudly Australian owned company. We provide affordable appliances, furniture and electronics for household, commercial and for industrial use. Need urgent luxury car rentals around Glenroy? Auto Prestige Car Rentle is the Best car rental company which offering standard, commercial as well as prestige cars on a rental basis at affordable prices to the customers across Essendon, Pascoe Vale, Glenroy and nearby suburbs of Melbourne. Call us now at : (03) 9383 0494 or Mail us on autoprestige@mail. 4 Bedroom, 1 Bathroom, 1 parking space $850 per week Bond $3, 683.00 1st month’s deposit $3, 683.00 Short term lease – **3 MONTHS ONLY** Available 6th March 2019 Great Location, 2-minute walk to tram no’s 11 & 96 Unfurnished Ducted heating/ refrigerated cooling Large kitchen/. Looking for the best accomodation in North Melbourne? Look no further than RNR serviced apartments, providing ultimate convenience and located just minutes away from the heart of the Melbourne CBD. Book by calling 03 8354 9029 today. Ph. - (+61) 3 8354 9029 Fax. - 1-800-666-8888 Email - bookings@rnrmelbourne. DV Cranes specialises in 4t crawler crane hire to sites across Australia. All our cranes are hydraulic and mounted on a tracked undercarriage. Telescopic 4t cranes are ready for work immediately on arrival at the site. For more information on our hire packages and services, visit https://www.dvcranes. Are you looking for sale and rent all your houses, lands and apartments or want to buy your dream home in Australia. Connect with Ristic Real esate which is a local family and operated business committed to servicing your selling, buying and renting needs to the higher stage and give the best services to customers. RNR North Melbourne Apartment complex is the ideal location when looking you are looking for a Peter Mac apartment. Situated close to the Peter MacCallum call centre, look no further for the best in accomodation. Book by calling 03 8354 9029 today. Address:- 139 Chetwynd St, North Melbourne VIC 3051 Visit - https://www. Leaders in royal melbourne hospital accomodation, RNR North Melbourne Apartment complex is the ideal location to stay close to your loved ones. Sleep easy, knowing that they are just round the corner. Book by calling 03 8354 9029 today. Visit - https://www.rnrmelbourne.com.au/serviced-apartments/royal-melbourne-hospital-accommodation/. If you are looking for Peter MacCallum Cancer Centre accommodation then look no further! The RNR North Melbourne Apartment complex is located within a short walking distance, ensuring you are as close to the hospital as possible. Book by calling 03 8354 9029 today. https://www.rnrmelbourne.com.au/serviced-apartments/royal-melbourne-hospital-accommodation/. Silver Star Cars are one of the most esteemed VHA, Chauffeured Limo Service Company. We offer you luxury and ordinary car of high-quality service in Melbourne. For more information, you can Visit our website..
Murray to mountain rail trail is a gateway to the ever-changing and stunningly beautiful landscape of Victoria. Hire a bike from CyclePath and explore this incredibly beautiful countryside. We offer a wide range of options for recreational, mountain and road bikes. To book a bike, call us on 03 5750 1442 or visit us at https://tinyurl. Are you are looking for the best corporate apartments in melbourne? RNR North Melbourne Apartment complex is the ideal location when looking you are looking for the best corporate apartments in Melbourne. Their self-contained serviced corporate apartments Melbourne that satisfy your needs as a corporate traveller. Book by calling 03 8354 9029 today. Visit - https://www. Situated near the Peter MacCallum Cancer Centre, RNR North Melbourne Apartment complex is the ideal location for peter mac accommodation. You can sleep easy, knowing that you are only minutes away from your loved ones. Book by calling 03 8354 9029 today. Visit - https://www.rnrmelbourne.com.au/serviced-apartments/royal-melbourne-hospital-accommodation/. Are you looking for the best royal melbourne hospital accomodation? Looking for the best royal melbourne hospital accomodation? RNR serviced apartments include wheelchair access and direct phone connection. We also have rooms with disabled toilets and showers. Call us at 03 8354 9029 today. visit- https://www.rnrmelbourne.com.au/serviced-apartments/royal-melbourne-hospital-accommodation/. Award winning, 4 star boutique 16 room motel. TripAdvisor certificate of excellence six years in a roiw. Rooms range from Superior Queen Suites, King Spas, Deluxe Twin Wheens & Kings, Courtyard King Spas, and a fully equipped apartment. All rooms have a kitchenette, well stocked mini bar, flat screen TVs, reverse cycle aircon/heater, dining table & chairs. Are you Looking for corporate apartments in Melbourne? RNR are an ideal option if you’re searching for corporate apartments in Melbourne. Located close to the CBD and all the amenities you need for business. Visit www.rnrmelbourne.com.au to check availability and book online..
CoFinder finds coworking spaces in Australia. We’re for any individual or organisation that needs to search, compare and choose a professional shared workspace. For enquiries contact us at connect@confinder.com.au. or visit - http://cofinder.com.au/. LaunchPad is a place where small businesses, start-ups and entrepreneurs come to get support in taking their business to the next level. With creative spaces, business resources, operational support and mentoring; you can find the help you need today for the company you want to create tomorrow. Visit - https://www. Get help from Python Developer when ever you require. Our developer is open to solve your problems ASAP.Contact here to hire Developers at remote work.. Core Realty recognizes this advantage and seeks to bring world-class properties in the city to homeowners, investors, and renters in Melbourne and around the world. For more information visit our website: https://www.corerealty.com.au/. Noel Jones Real Estate has been helping people buy, sell and rent property in the eastern suburbs of Melbourne for over forty years. Our ten office locations allows us to network across the entire eastern area while still being ‘boutique’ enough to provide individualised service. Each office is run by one or more Directors who has a long standing professional and personal history within the area they are operating. How to find best serviced apartments in Melbourne? Searching for convenient, quality serviced apartments in Melbourne? RNR Melbourne are located within easy reach of transport, entertainment and amenities. For business of for leisure, RNR is the smart way to stay. Visit http://www.rnrmelbourne.com.au/ to check availability and book online..
#Conveyancing Lawyer Melbourne | Jim’s Conveyancing Victoria Jim’s Conveyancing provide Victoria conveyancer with an extensive range of property conveyancing Melbourne & legal services including Purchase & Sale of property etc. We provide an extensive range of property and legal services including: 1. RNR Serviced Apartments have quikcly become the number one choice for Peter Mac apartments in Melbourne. Fully equipped with everything you need for your stay, our luxurious apartments will let you relax in peace and quiet. Visit - https://www.rnrmelbourne.com.au/serviced-apartments/royal-melbourne-hospital-accommodation/. Jack Limo Taxi is a Melbourne based company offering a spectrum of services. Traveling in luxury and comfort makes the journey pleasant. The company has an objective of meeting the requirements of the customers. 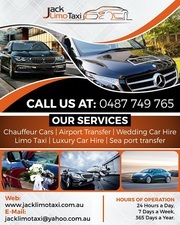 If one is looking for a reputed and reliable Melbourne chauffeur services then counting on this firm is highly recommendable. 1st lane is the car rental provider in Melbourne. We have the best cars and trucks at very low prices. So what are you waiting get your car now. For more info visit us: https://www.1stlane.com.au/.. Situated at close proximity to the Glen Waverley Shopping Centre, facing opposite to the Monash Aquatic and Recreation Centre, the office location is easily accessible and convenient for businesses. This business centre is ideal for small businesses. Rent includes all outgoings except electricity. Property features include: -optional warehouse space -over 40 carparks - small and large suites available 11sqm to 50sqm - Communal Boardroom & Kitchen - Excellent location & security - Floor to ceiling windows (selected rooms) - Office with Natural Light (selected rooms) - Business Boardroom & Meeting Room facilities - Carparking available onsite. We have 9 offices out of which we are looking to rent 5 spaces. You get great privacy as each rooms are separate and very spacious (not tiny cabins) Modern Furnished Offices-- Internet, Kitchen & Electricity -- Flexi Terms -- Regular Cleaning -- ‘A' Grade BuildingPHONE NUMBER HIDDENby 7 Access -- Avail NOW for short or long term rent Park St South Melbourne Location What you get for your weekly rent > Air conditioning > 1 Dedicated desk and chair > Cleaning included > ADSL > Access to shared kitchen facilities > Access to shared meeting room access > Flexible terms Office and Building features > Printing facilities > Office wide Wifi > Dedicated womens and mens bathrooms > Low level boutique building > Open plan office Location features > A min walk to St Kilda Road & King ST > Close to supermarkets, gym, shops, cafes and transport This office is brought to you by Rubberdesk. A private and secure lockable office space is available for rent. The office is located amongst other creative businesses and a high-end Film & Photographic studio 'St Kilda Studios' all located in the heart of St Kilda near Acland St & Luna Park. Rent Includes office, free car parking, WiFi, elec, water, cleaning, boardroom and more. Australia free ads for For rent, Melbourne, For rent free ads Melbourne, For rent for sale Melbourne, For rent to buy in Melbourne. Find on this page free classifieds for For rent in Melbourne. This listing includes classifieds for sale and to buy in Melbourne. FREEADSAustralia Melbourne offers you a platform to post free advertisements or classifieds for For rent in Melbourne. FREEADSAustralia helps you search, find buy, sell, rent or hire in various categories like apartments, goods for sale, local services, cars , jobs and many more in Melbourne. If you posted an advertisement in category For rent of FREEADSAustralia Melbourne before please use Edit my ads button to change or cancel your ad. For rent Melbourne ads Melbourne, For rent classifieds Melbourne, For rent free ads Melbourne, ads for sale Melbourne, ads to buy Melbourne, FREEADSAustralia. Find here ads for sale, to buy and rent in Melbourne. Goods for sale in Melbourne, vehicles for sale in Melbourne, Melbourne real estate for sale, Melbourne property for sale, property for rent in Melbourne, business ads in Melbourne, Melbourne business classifieds, services in Melbourne, Melbourne services ads, jobs in Melbourne, pets for sale in Melbourne, Melbourne dating, Melbourne cars for sale.